Ranked number 22 in US News, Emory Law School is nestled in northeast Atlanta, Georgia. Emory Law School has a strong public interest program. The new dean shifted the focus of the law school, and is really trying to get its students on board with pursuing legal services to people who normally can’t afford them. Currently the law school has three specific programs that deal with public interest: (1) the Emory Public Interest Committee, (2) their Pro Bono program, and (3) the Volunteer Clinic for Veterans. Each of these clinics has an emphasis on a specific area of public interest law, and, for students interest in serving the public, they would be well served to attend school here. Emory Law school tends to accept more students than other schools ranked similarly. In 2015 they admitted 32% of the 3,921 students that applied. That is a crazy high number. The LSAT scores were 166/165/156 (75th/median/25th). The highest concentration of accepted LSAT scores were between 164 and 167. As for the highest and lowest scores, Emory’s lowest accepted LSAT score was a 146, while their highest was a 178. In case you were wondering, the next highest score after 146 was 151. Your best shot at getting accepted into Emory Law School will be if you score a 165 or higher. Just about everyone that scored at least a 165 on the LSAT was accepted in 2015, and that includes the few students that applied with GPAs under 3.0. Those students that weren’t accepted, were waitlisted, for the most part. Your GPA will make a huge difference if you score under 165. Anything under 165 and you’ll want your GPA to be at least a 3.75, at least if you want to have the best chance at getting in. What about the rest of your application? Other than your LSAT and GPA, you want to focus on telling your story. If you have a passion for public interest, your application to Emory Law School is the place to bring it to the front. However, if you don’t have a passion for public interest work, you still need to tell a story about yourself. Show the law school where you’ve come from, and how it has shaped who you are. 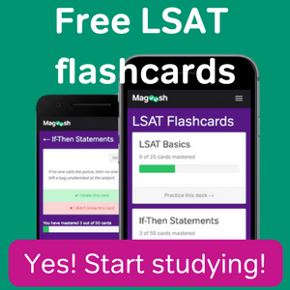 For other law school LSAT ranges check out this page here. 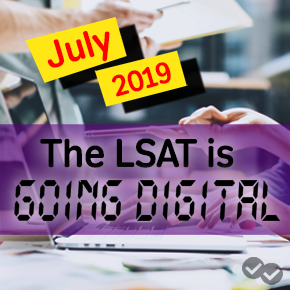 For more information on the LSAT in general, go here. Finally, if you want some helpful tips and tricks, don’t forget to check out this page.